Transfer gossip, Sunday: Spurs duo linked to Leeds | Town eye striker | Boro look to old boys | Ferguson for Bantams? Leeds target: United States' Cameron Carter-Vickers. 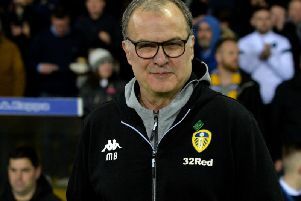 New Leeds United manager Marcelo Bielsa could use his relationship with fellow Argentinian and Tottenham chief Mauricio Pochettino to strengthen his defence. Bielsa has been linked with a loan move for Spurs prospects Argentinian Juan Foyth and American international Cameron Carter-Vickers, who enjoyed a spell with Sheffield United last season. Heading to Town? : Wolverhampton Wanderers' Ivan Cavaleiro, right. Leeds are one of several clubs also said to be interested in midfielder Sean Clare, who has turned down a new deal at Sheffield Wednesday. Premier League Huddersfield Town could be ready to snap up Wolves striker Ivan Cavaleiro. He joined for £7m from Monaco two years ago but the 24-year-old could be sold as Wolves seek other options after winning the Championship last season. Middlesbrough are battling West Bromwich to sign former Leicester City’s German defender Robert Huth, who had a spell with the Boro early in his career. Wanted by Blades: Goalkeeper Freddie Woodman. Another former Boro player, winger Albert Adomah, could also be on his way back to the Riverside as Aston Villa’s financial meltdown forces them to offload players. Boro chief Tony Pulis is also interested in Sheffield Wednesday’s Barry Bannan while Fulham and Stoke City are among the clubs interested in Owls talisman Fernando Forestieri, 28. Sheffield United and Norwich City want to take Newcastle goalkeeper Freddie Woodman, 21, who was at Aberdeen for a spell last season, on loan. Woodman is keen on a move away from St James’ Park next season in order to gain more valuable first team experience. Darren Ferguson, who recently quit Doncaster Rovers, is the new favourite to be the next manager of Bradford City. Also in the frame to replace Simon Grayson, who stepped down at the end of the season, are David Hopkin and recently sacked Leeds United manager Paul Heckingbottom, the former Barnsley chief.